If you are in need of a new part for your vehicle you will find that it can be an expensive endeavour sourcing and fitting these parts new. At Auto Dismantlers Ltd. we source quality used parts for cars, vans and 4x4’s from all makes and models. We then salvage these parts and pass the savings onto our customers. Do you need a used car part? Get in contact with Auto Dismantlers Ltd. and have us select just the right part from our huge selection. 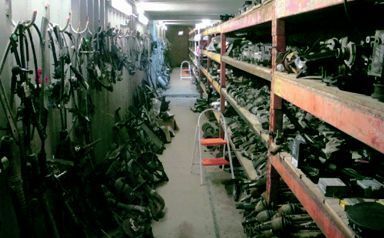 All of our used car parts are tagged and shelved in our workshop so you can easily find what you're lookng for. If you decide to pop in store to view our range of used parts, you will find that our stock is well organised and up to date, meaning less waiting around for our customers so that they can get back on the road as soon as possible. Auto Dismantlers Ltd. offer prompt turnaround on all used parts ordered from our garage. For most parts we can offer next day delivery nationwide with a delivery charge of just €10. If you would like to learn more about our products and services, please don’t hesitate to get in contact with one of team who will be more than happy to assist you with any queries you may have. Please be advised that Auto Dismantlers do not provide a fitting service for used parts. Enquire within in regards to colour of car exterior parts as perceptions can be different from person to person. 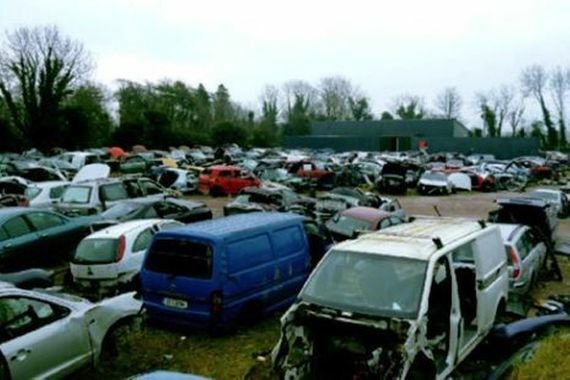 Get in contact with Auto Dismantlers Ltd. today to avail of our swift turnaround.